To quit your job and start walking dogs: that’s a tough question. You’re probably reading this because you Googled it, which is pretty revealing about your state of mind. For some people, the very idea of dropping their current career and hanging out with dogs all day is right up there with “sell all my belongings and move to a remote island” levels of things they muse about. Starting your own dog walking business is both rewarding and daunting. Will you have enough clients to sustain yourself? What do you do if you have too many clients? Your success is up to you. The amount of clients you’re able to pick up is entirely based on your capabilities as a dog walker. 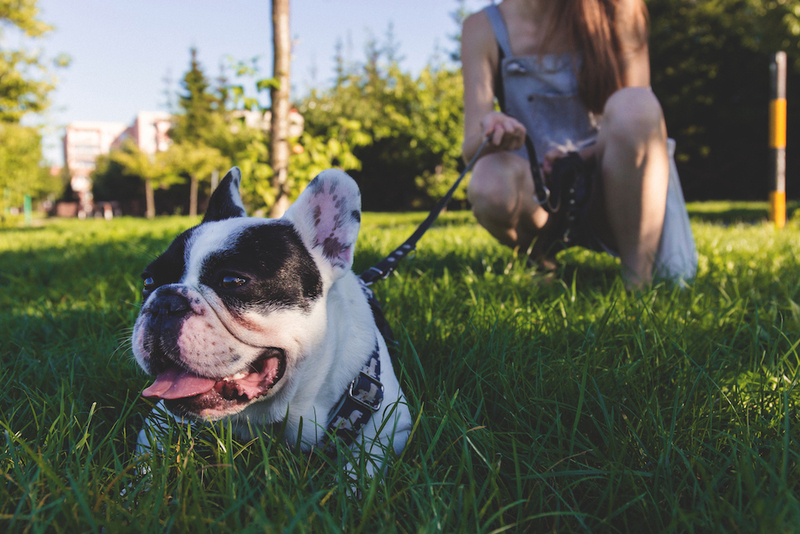 There’s no shortage of pet owners out there, but if you fail to market yourself effectively your competitors (and there will be many) will end up rounding up all those pups. You need to start walking dogs better than your competition. If you work hard and build a great reputation, over time you’ll find yourself having to either turn down clients or expand your business. However, that probably won’t happen overnight. Pet care is a trust-based industry, so it’s a lot easier to get clients when you’ve established reliability. You probably wouldn’t hire a plumber without reading some reviews or a reference, so why would you trust some random person with your pet? It’ll probably be tough in the beginning. We won’t sugarcoat it: starting out might be difficult. If you have bills to pay and don’t have enough to take care of them in the event that it takes a couple of months to start seeing money rolling in, you should put some more thought into this and save some money first. Find out how much money you need to sustain your lifestyle, and then do some math. How much would you charge per walk? Realistically, how many dogs can you walk per day (depending on your circumstances, you can walk multiple dogs per session)? How many hours per day and days per week will you work? All of these variables will determine what your income will be. For example, if you walked 8 dogs per weekday at $20 per walk, that’s $41,600 annually (8 dogs * $20 * 5 days * 52 weeks). Clients tend to stick around. It’s a bit of a slow burn as far as getting new clients, but the good news is most clients you get will be retained. Some dog owners only want a walk here and there. For example, when they’re working late or will be out of the house for most of the weekend. But there are other owners who want daily walks on a specific schedule. Once they find a dog walker they like, they’ll stay with them. This means even if you only get one new client per month, in a year you’ll have 12 loyal clients. That may not sound like a lot, but if you happen to be walking 12 dogs, 5 days per week, that’s a pretty good income! Is it worth it to start walking dogs for a living? Do you like dogs and have enough experience to work with them on a daily basis? Are you a self-starter and responsible enough to run your own business? If the answer to those is “yes”, then you have your answer.